If you’re struggling with nuisance calls you might be tempted to turn to one of the many commercial companies that promise to help, but be wary of the exaggerated and sometimes fake promises these companies will make to you. 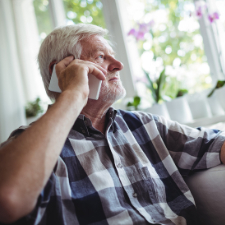 Almost all of us have had our evenings interrupted by nuisance calls to switch our utility provider, get a better mobile phone deal or to reclaim our PPI. Signing up to the Telephone Preference Service (TPS) is meant to stop unsolicited marketing calls, but it has its limitations. The Telephone Preference Service (TPS) is not a physical block on calls, contrary to what some people think. Instead it acts rather like a speed limit sign on the side of the road. It’s a legal obligation to adhere to it and if you don’t (and you get caught) you will be ‘punished’. The fact that there has been so much press coverage on nuisance calls it’s no surprise that a market has been created for companies claiming that they can stop these calls… for a fee of course. Probably the most ironic aspect of these companies is that they either cold call for their business or in some cases they actually call people registered on the TPS. Renewing your TPS registration – but this is not true as once you’ve registered your number on the TPS, as a consumer, you do not need to re-register again. Upgrading your TPS registration - there are no upgraded registration options available with the TPS. Offering you call blocking devices – although these can actually help stop cold callers from contacting you, they are not entirely effective despite the sales rhetoric and it’s likely that you won’t be entirely clear who exactly you’re talking to or buying the device from which means if you’re not happy with the device, you’ll struggle to get a refund. These companies will then often go on to ask you for payment details. Sometimes, so it seems, they may even read back to you some of your credit or debit card details as if to suggest that they had these details from your ‘last payment’. This catches some people off-guard and they think “Well I must have done this last year, how else would they have my card details?” How else indeed. The TPS will never call you and, in the most unlikely event that they did, it could only ever be in connection with a complaint you might have made and they would certainly never ask you for payment! A number of companies, including CPR Global, Stop These Calls and the Telecom Preference Service (another name for the Telecom Protection Service) also offer call-prevention services. They claim that for around £35 a year they can stop nuisance calls by circulating their own do-not-call lists to companies that make cold calls. Whilst this sounds appealing, the fact is that such a process simply cannot be effective at all. It’s a fact that many, if not all, of these companies make exaggerated claims about the effectiveness of their services. They will claim that by circulating their own Do Not Call lists to UK companies that this will prevent you from being called. Firstly, for that to be effective they would need to contact every single company undertaking marketing and secondly, UK companies already have a legal obligation to screen against the TPS. Cynically speaking, if you feel that certain companies don’t screen their data against the TPS as they should, then equally, why would they screen against lists submitted by random private companies? Some companies claim to ‘eliminate’ overseas calls, we can’t see how that’s possible. Some companies attempt to discredit the TPS, claiming that they will sell your data (they won’t) and that you can’t complain to it about the companies that call you (you can). It’s true that the TPS is far from perfect and some people registered with it continue to receive nuisance calls. However, commercial organisations cannot be more effective and we don’t believe that it’s worth paying for their services. Instead, if you’re already registered with the TPS and are still getting nuisance calls you can complain directly to the TPS by visiting www.tpsonline.org.uk or by calling them on 0345 070 0707.